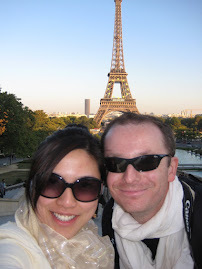 Having a Chinese passport always meant that I needed a lot of visa almost everywhere I went. I kind of get used to the fact that I need to gather all my documents before I can go anywhere, except places that have granted me few years visa like Shengen and Singapore. Even going back to Manila means getting a visa (for my situation)! Now we are currently at the Chinese Embassy in Malaysia (OSK building in KL). It was easy to park this morning, arriving at 9am. The line to enter the visa section was already long (all the way to the canteen) but it moved fast. 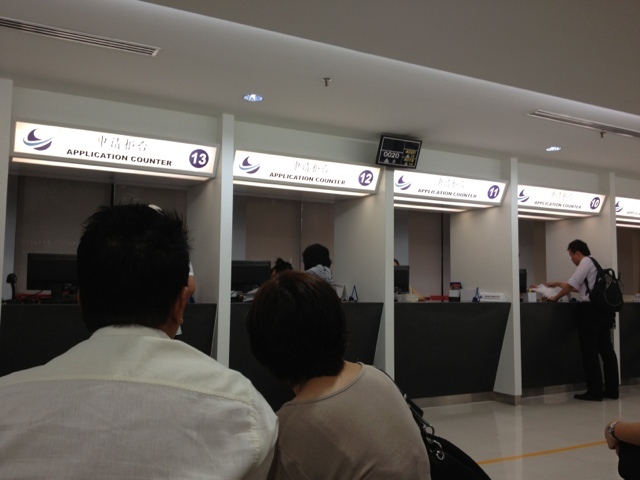 We are here to apply visa -- this time for hubby! We will be off to China by end of the month to see the sights in Beijing. There were so many people applying for visa! 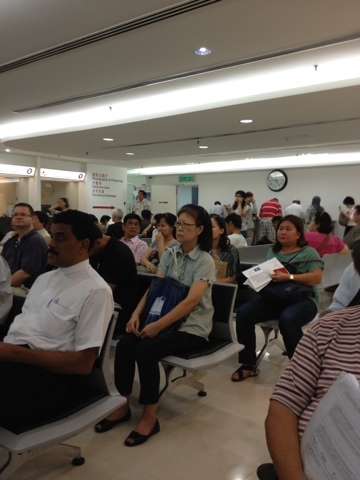 They had 19 counters, mixed to address non-Malaysian and Malaysian visa applications. I highly suggest coming at 9am. You get grab the visa application at the entrance or do like what hubby did, he asked the Travel agent for some forms in advance. Not sure if the online forms are updated. Hubby was handed an additional supplementary form to fill up so please take note of that. So far things seem to move quickly. I guess they better do things fast looking at the amount of people applying for visas! Latest update: when I went back to get the visa, it was a breeze. I parked inside the office building and exited less than 30 minutes (I know for sure because I paid RM 4.00 for the parking which is the half-hourly rate). I took a number and waited about 10 minutes max. 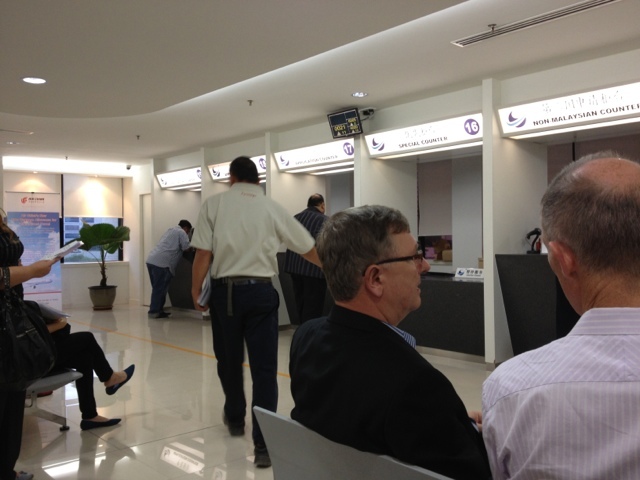 The payment was quick and then I had to line up in another counter and claim the passport. 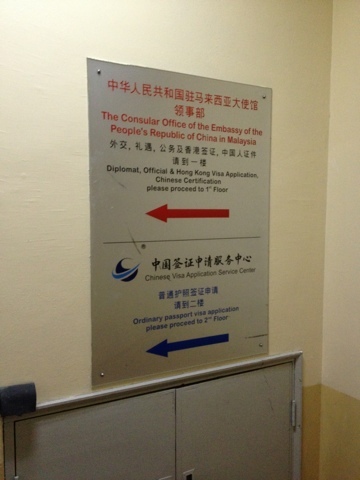 No doubt, our china embassy in malaysia is very efficient.